This blog was originally written on STUMP by Mary Pat Campbell and has been posted with proper permissions. The post is in memory of actuary Jeremy Gold, who died earlier this month. In the sedate world of actuarial science, Jeremy Gold was a bomb thrower. He regularly accused public-pension-fund managers of taking too much risk and underestimating their liabilities to current and future retirees. “Where are the screaming actuaries yelling in these burning theaters?” he asked in a 2015 speech at the Massachusetts Institute of Technology. He cited the pension shortfall faced by state and local governments, usually pegged today at between $1.6 trillion and $4 trillion. Some governments ran up those debts by paying less than actuaries recommended. Others made payments endorsed by actuaries based on projected returns that never arrived. “Actuaries should have been the cops here…applying science while all around them were doing politics,” Mr. Gold said. In 1985, Mr. Gold became one of the first American actuaries to work on Wall Street, straying from the profession’s typical career track in insurance and consulting. It was the heyday of the corporate raid, when high rollers like Carl Icahn and T. Boone Pickens were buying up companies, firing the managers, turning everything upside down and reveling in the shareholder value they claimed to have created. Often, the raiders went after companies with pension funds, which happened to be Mr. Gold’s métier. They said the funds held far more money than they needed, grabbed what they said was the surplus and used it to finance their takeovers. When the dust settled, the money was gone, and workers’ hopes for a decent retirement were dashed. The raids inspired books, movies, Broadway productions like Ayad Akhtar’s “Junk” and, eventually, a federal law slapping a punitive tax on any raider who looted a pension fund again. But for Mr. Gold, they raised big questions about the advice actuaries gave employers on how to run their pension plans. Why did the raiders keep finding overstuffed pensions to exploit? Could actuarial practices be making employers vulnerable? What if it was not just a few wrong numbers here and there, but a bedrock flaw in the actuarial standards that could lead to a systemic disaster? Again, this particular kind of crusade was and is unusual in the actuarial sphere. Part of his long-term campaign involved going to Wharton to develop the theoretical foundation for his later papers and arguments. One actuary I know who worked closely with him told me his life was “nonlinear.” (Actuaries talk that way, you know.) It was indeed. A child of the sixties, he initially flunked out of MIT, favoring instead the game of pool and a red sports car, according to the Wall Street Journal. He eventually returned to math, at which he excelled, ultimately becoming an actuary and applying it in a successful career on Wall Street at Morgan Stanley. It’s a shame he didn’t live to see his crusade fully completed, but his impact was huge. He broke the table, as they say in the game of pool that he loved. But his influence will continue. I didn’t know Jeremy Gold very well, first having come across his name in papers I had to read for actuarial exams, and then seeing him comment on the Actuarial Outpost. Through Jeremy’s writings, I learned about the disparity between how public pensions were valued, and how annuities were valued (I was working in annuities at the time). My one regret with regards to Jeremy (other than his battle has not yet been won in the actuarial world) is that there was one story I wanted to hear more about from him, relating to Milwaukee’s backDROP program. He warned me that I had been mischaracterizing what got an actuarial firm sued, and I never did find out the true story behind that. 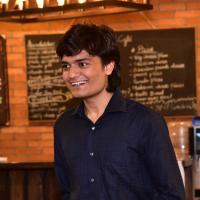 I have started a thread on the Actuarial Outpost, and I want to draw out a few less theoretical items that may be of interest to a non-actuarial audience. First, his talk from 2015 at MIT, his “Where are the Screaming Actuaries?” talk: I wrote about this talk before. Here is his piece in Forbes that came out at the time. When Detroit went bankrupt in 2013, estimates of pension shortfalls multiplied overnight. The city’s regular actuarial firm had reported pension underfunding at $600 million. A special study performed by a second actuarial firm showed underfunding of $3.5 billion. So which is it? Why two such different estimates? In a recent talk I gave at MIT, I explained the details. So why haven’t actuaries been telling the world what’s going on? Why aren’t they screaming in these burning theaters? The answer is that they don’t have to! U.S. Actuarial Standards of Practice (ASOPs) endorse the lowball estimates discussed above. The U.S. Code of Professional Conduct calls upon actuaries to be loyal to their clients. In the case of public plans, the clients are usually the boards of trustees that administer the plans; the state and local governments that sponsor plans and the unions representing public employees also may hire actuaries. None of these clients wishes to hear a $554 financial value when they have difficulty paying the back-loaded and understated costs associated with meeting a $258 actuarial value. 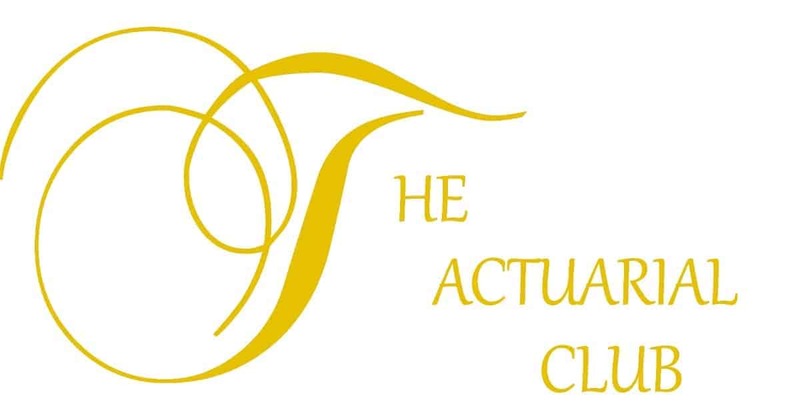 The actuarial profession acknowledges, but does not fulfill, its duty to the public. So Detroit, which is it – $600 million or $3.5 billion underfunded? Based on numbers calculated by the second actuarial firm in Detroit, I have estimated that the city’s economic unfunded liability for benefits already earned exceeds $7 billion. It could also be as much as $9 billion, and I could be more precise if I had better data. He had also given testimony to the House Ways and Means Committee. in the context of H.R. 567, the Public Employee Pension Transparency Act (PEPTA). these plans including plan trustees, investment managers, accountants and actuaries. 1) What is the market value of benefits being earned by public employees this year? What does this tell us about their total compensation (salaries plus benefits)? generations of taxpayers? Or might the opposite be true? other jurisdictions in the U.S.? H.R. 567 can go a long way towards helping decision makers answer these questions. much as 100%. Good policies cannot be based on bad numbers. I need not quote further — that was the core of his mission. We need to have useful information, reasonable information, as to how safe public pensions are and how much more expensive they may get in the future. Current actuarial practice does a poor job of that. Just as the 100% ARC payers find themselves falling farther behind, if the ARC were calculated on a different basis, the negative amortization would become more obvious.  Measure accrued liabilities and future costs accurately. benefit guarantees, and actuarial expertise. o Pay the interest on unfunded accrued liabilities. What’s true for MEPs is true for public pensions. Back in 2016, there was an uproar over the blocking of an actuarial paper, of which Jeremy Gold was one of the authors. The American Academy of Actuaries and the Society of Actuaries Monday abruptly disbanded its longtime joint Pension Finance Task Force, objecting to a task force paper challenging the standard actuarial practice of valuing public pension plan liabilities. Others who were members of the task force also said in interviews the two actuarial groups are trying to suppress publication of the paper. A joint memorandum dated Monday announced the disbanding of the task force to its members. The memo was jointly written by Thomas F. Wildsmith IV, president of the Washington-based academy and president and senior manager of public policy at Aetna Inc., Washington, and Craig W. Reynolds, president of the Schaumburg, Ill.-based society and principal and consulting actuary at Milliman Inc., Seattle. 3 Aug 2016: Public Pensions Actuarial Valuations: Point-Counterpoint-DENIED! 16 Aug 2016: Rock Em Sock Em Actuaries: How Much are Public Pensions Worth? 5 Sep 2016: Let’s Get Ready for an Actuarial Rumble! Mr. Gold was also a ringleader of that stormy professional meeting in 2003. Since then, there have been more conferences, monographs, speeches, blue-ribbon panels and recommendations — to say nothing of an unusual spate of municipal bankruptcies and insolvencies in which ailing pension plans have played starring roles. And yet little has changed. In a separate email message to The New York Times he said the academy was committed to helping the public understand the different measurements, and provided a position paper concluding that both measures are useful, but for different purposes. The four authors then issued a revised version of their paper, with their names on the front — and a claim that they held the copyright. The paper, which runs 19 pages, says in brief: Use market values for public pensions. The last time I heard from Jeremy was that fall of 2016, and he sent me a copy of this paper. I wrote about an earlier version of this paper on 30 September 2016. I believe they made a few edits between the September and November releases, but the content was essentially the same. For the remainder, here are some links to Jeremy’s work, and to some other links on the Actuarial Outpost or this blog. Most of all, public pension actuaries use old methods that have fallen far out of sync with the economic mainstream. That does not necessarily mean their figures are wrong, but it does make them vulnerable to distortion, misunderstanding and abuse. “Financial burdens have been hidden” as a result, said Jeremy Gold, a New York actuary and economist who was one of the first to call attention to the gap between actuarial figures and economic reality. Many economists now agree with Mr. Gold, saying they believe actuaries are routinely underestimating the cost of providing governmental pensions by as much as a third. The difference “is going to come out of services, and the services are for the working poor,” Mr. Gold said. I will miss his voice in public pension debates.